Nothing like a timely check-up this time of the year! Bring in your resume and portfolio pieces Jan. 29, 30, and 31 (12-4 PM) to get them looked over by Career Leadership & Development’s (CLD) experts. There will be walk-in appointments available in the library throughout the 4-hour sessions. Oh, and remember, health is wealth! 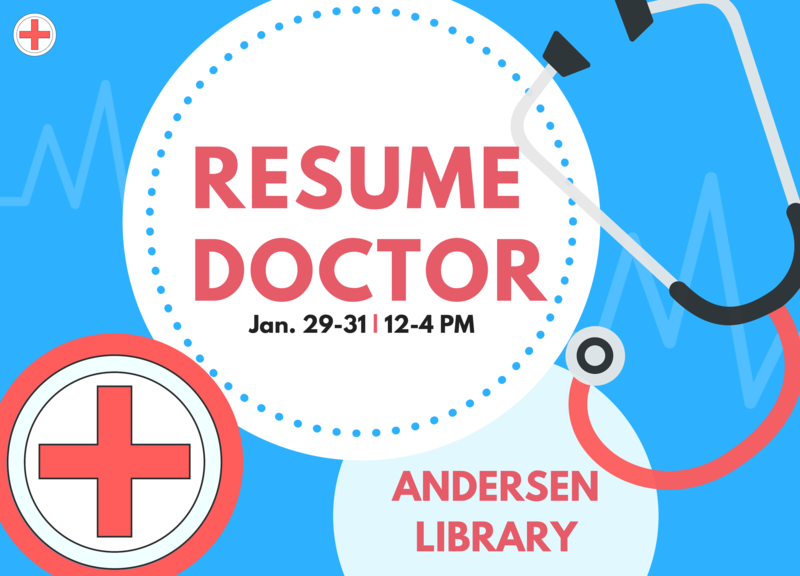 This entry was posted in around the library, campus connection, featured resource and tagged andersenlibrary, career and leadership, health is wealth, resume doctor. Bookmark the permalink.